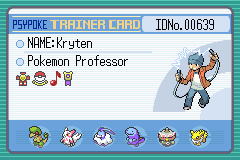 Hello and welcome to Sinnoh Shenanigans. This is a story I have been writing for the past three days. Jack Williams. Age: 15 years old. Hometown: Sandgem Town. Jack is an easy going guy and also very intelligent and very serious when it comes to battling and training. He continued with his education through High School instead of becoming a pokemon trainer. When he graduated he spent several months studying on pokemon and several other aspects to pass the Trainer Exam and obtain his Pokemon Trainers License. Theo Darco. Age: 15 years old. Hometown: Ecruteak City. Jack looked at the pokeball in his hand. It had been barely fifteen minutes since he got his pokemon and he hadn’t even seen it. Was it a fighter, a coward, a traitor, a liar, a misfit? >>Well... Time for me to find out<< Jack thought. Jack tossed the pokeball onto the ground in front of him. It burst open and released a thin jet of red light; the light began to form into the solid shape of the penguin pokemon Piplup. The young pokemon chirped and opened her eyes and looked around. As soon as she saw Jack she chirped happily. Jack bent down onto one knee. “Hi Piplup, I’m your trainer” Jack said as he held out his hand. Piplup cocked her head to one side and frowned slightly, she looked as if she was making a decision. Piplup slowly stepped forward hesitantly and Jack smiled. Piplup began to nuzzle against Jack’s palm... Well the best nuzzle a penguin could do. “What do you say we get going?” Jack asked. Piplup chirped happily and flapped its flippers. Jack and Piplup had been walking for nearly two hours and still hadn’t seen any sign of a wild pokemon. Not even a Buneary. The sound of water crashing against something suddenly assaulted Jack’s ears, Piplup could obviously hear it too because she was looking around for the source of the sound. “Got anything Piplup?” Jack asked. Piplup didn’t respond but instead stared defiantly into the distance before running off in that direction. Jack immediately began chasing Piplup. It was a wonder it could move so fast for such a small pokemon. Piplup stopped dead and ran through a clump of bushes. The sound of crashing water was getting louder. Jack slowly stuck his head through the clump of bushes to see Piplup staring at something. In front of them was a river... But there was no water whatsoever, the riverbed was dry. Jack turned his head to the left and saw what Piplup was looking at. Upstream there was a dam made of wood and several pokemon were crawling around on it. Jack took his pokedex out of his jacket and pointed it towards the pokemon. Jack realised what the sound was, it was water crashing against the other side of the dam. Suddenly the pokedex spoke again. The Bidoof were fat brown pokemon that closely resembled an overgrown hamster. Bibarel on the other hand was also brown but looked like a Hamster and Beaver hybrid. All the pokemon were gnawing on the logs on the dam and plugging up any gaps. Bibarel were using their oar like tails to smack more logs into gaps. Piplup was still staring at them, almost menacingly. “Do you want to battle them Piplup?” Jack asked. Piplup nodded but didn’t take her eyes off the Bidoof and Bibarel. “Well let’s go then” Jack said as he climbed through the bushes and stood next to Piplup. Piplup and Jack walked along the bank of the river towards the Bidoof and Bibarel. As they got closer they were spotted by the Bidoof and Bibarel and they all ran away, except for one Bidoof, which was staring at them. “Wanna battle Bidoof?” Jack asked. Without warning the Bidoof charged forward and tackled Piplup, knocking her over. Piplup leapt to her feet and began spraying a steady stream of blue energy bubbles. The bubbles hit Bidoof and exploded on impact. The force of the attack sent Bidoof sliding backwards. Suddenly it rolled up into and ball and began rolling towards Piplup at high speed. It hit Piplup and sent her flying into the air. “Piplup use Bubblebeam to stop it!” Jack shouted. Piplup once again sprayed a stream of blue energy bubbles at the rolling Bidoof. The bubbles hit Bidoof and it gradually slowed down until it stopped. “Now use Peck!” Jack shouted. Piplup’s beak began to shine and she started pecking Bidoof into submission. After a couple of seconds Bidoof squeaked in pain and rolled onto its side. Jack took a pokeball off his belt and threw it at Bidoof. The ball hit Bidoof and opened, engulfing Bidoof in red light, the light retreated back into the ball and it closed. The pokeball then dropped onto the ground and began rolling from side to side, after a few seconds the ball broke open and Bidoof was released before it ran into the bushes. Piplup chirped sadly and looked at the ground. Jack looked down at her and smiled weakly. “It’s not your fault Piplup. You did great” Jack said. Piplup looked up at Jack and chirped again happily, pleased with her first battle. “We’ll get the next one” Jack smiled. Piplup chirped and they both slid down the riverbank and onto the riverbed, they quickly ran across and climbed up the other bank and continued into the forest. Jack and Piplup continued to battle and catch several pokemon but failed at each attempt. He’d only had one successful capture of a young Chatot. Chatot had been kind of an accidental capture, one of his pokeballs had come loose while he was climbing a tree and fell right onto it. The ball had barely moved before the familiar ding had sounded. Jack looked down at the two pokemon stood in front of him. Piplup was relatively relaxed and delighted with the battles she had won, but the parrot pokemon stood next to her hadn’t seen a single battle and was still pretty timid. Chatot resembled a parrot, he was brightly coloured, his body was yellow and green with blue wings and a white ruffle of feathers around his neck, his tail feather and his head were jet black. Several feathers on his he resembled a musical note while his tail feathers resembled a metronome. Piplup was trying to get Chatot to play with her but Chatot just flew into the air and perched on Jack’s shoulder. Chatot hesitantly hopped down off of Jack’s shoulder and over to Piplup. He smiled slightly, well as best a smile a bird could and extended his wing. Piplup shook it and chirped happily. “We need to get to Jubilife City guys. It’s almost sun-set” Jack said as he returned Piplup and Chatot back to their pokeballs. Last edited by 2x4b on Tue May 15, 2007 12:50 pm, edited 14 times in total. <font color="999999">Hey, this is good, boy, my only advise is to elaborate a little bit, I don´t mean to describe even more the places or Pokémon, but rather, describe the people, I don´t know how does Jack look like. Other than that, well done, I think u should keep this... dun u think so? I'm nearing the end of Chapter 2. I'm currently working on a sprite of Jack, I'll edit it into my first post later. Anyway thanks for the comments AABM. I'll have Chapter 2 up sometime later tonight. Sounds good 2x4b! Don't stop, keep going! Well I've finished Chapter 2 guys. Here it is. Jack breathed a sigh of relief as he walked through the brick arch of Jubilife City. It was nearly midnight and there was practically no-one on the streets, no cars or people. >>Most likely asleep<< Jack thought as he looked at his Poketch. The time read at 23:58pm, it had taken Jack nearly six hours to walk from the forest to Jubilife City, having gotten lost several times. >>All I want now is some sleep...<< Jack thought drowsily as he walked down the quiet and lonely street towards the Pokemon Centre. He saw the Pokemon Centre from the hill overlooking Jubilife City; it was hard to miss with the giant glowing P on the front of the building. As Jack trudged towards the Pokemon Centre he heard a voice call to him from an alley. Jack turned his head and saw a rather scruffy looking middle aged man in a brown trench coat. “Oi... You wanna buy some speakers?” The scruffy man asked. Jack stared at him for a second before walking past the alley and towards the glass doors of the Pokemon Centre. The glass doors slid back and Jack entered the Pokemon Centre. He yawned and walked up to the desk where Nurse Joy was sat looking at a computer screen. As Jack placed Piplup’s and Chatot’s pokeballs onto a tray Nurse Joy looked up. “You’re out awfully late” Nurse Joy said. “I got lost in the forest a couple of miles back” Jack replied as he yawned. Nurse Joy smiled and took the tray. “Can I see your Trainers License and Pokedex?” Nurse Joy asked. “Sure” Jack replied as he took a plastic ID card and his Pokedex from his back jeans pocket. Nurse Joy connected his Pokedex to her computer and put his Trainers License into a slot at the front. “What are you doing?” Jack asked. “I’m just registering your License and Pokedex with the Pokemon Centre database. This way all you have to do is give your name” Nurse Joy explained. Nurse Joy tapped a few keys and handed Jack his Trainers License and Pokedex back. She took a key card out of a slot and handed it to him. Jack took the key card and began to walk down the corridor before pausing. “Do you know there’s a guy down the alley trying to flog some speakers?” Jack asked. Nurse Joy smiled and nodded. Jack nodded and walked down the corridor and to a room. He swiped the key card through the automated lock and walked inside for a good nights rest. Jack awoke the next morning and yawned. He looked at his Poketch on the nightstand and saw that it was already 11am. He got out of bed and walked into the bathroom for a shower. He then got dressed and walked back into the room and picked up his green backpack and put on his Poketch. Jack left the room and once again swiped the key card through the automated lock before walking into the Pokemon Centre foyer. Several trainers were sitting around and watching a large TV screen, others were talking on video phones or playing with their pokemon. Jack walked up to the desk Nurse Joy was once again sat at. “Good morning Jack” Nurse Joy greeted. “They’re right here” Nurse Joy said as she took two pokeballs off a tray and handed them to Jack. Jack took the pokeballs and tossed them up into the air. The pokeballs both shot out beams of red light and the two beams formed into the individual shapes of Piplup and Chatot. Jack knelt down and let Piplup and Chatot jump onto each of his shoulders. Jack walked out of the Pokemon Centre and down the busy street towards a restaurant he had seen the night before. Halfway down the street he heard someone shout out. “STOP HIM, HE HAS MY POKEMON!” a female voice shouted. Suddenly Big Bill Ingles pushed past him holding a pokeball. Jack chased after him while Piplup and Chatot clung to his shoulders. “Chatot use Sing!” Jack shouted. Chatot opened his beak and began to sing a soothing song. Big Bill Ingles fell asleep on the spot and fell onto the pavement. A girl with long blue hair ran over to Big Bill and snatched the pokeball out of his hands. She turned away from Bill as an Officer Jenny put him in handcuffs and dragged him off. “Thanks for saving my pokemon” The girl said. “My name’s Claire Bailey” The girl said. “I’m Jack Williams” Jack said. “What a cute Chatot” Claire said as she looked at the young parrot pokemon. Piplup sulked as Claire fussed over Chatot and turned her head away from them both. Claire suddenly stopped fussing over Chatot and looked at her pink Poketch. “I’m sorry... I’ve gotta go. Come and see me at the Global Trading Station later” Claire said before she ran off down the street. Jack raised an eyebrow before walking down the street in the opposite direction, looking for somewhere to eat. Last edited by 2x4b on Tue May 15, 2007 12:56 pm, edited 4 times in total. Keep up the good work, 2x4b. I do notice the lack of punctuation in dialogues, though. I do notice the lack of punctuation in dialogues, though. I don't see any, where are you looking? Great story so far, I hope you'll update it tonight with Chapter 3. Great job. I really liked it. Jack...You mispelled your name 2x4b! <font color="999999">Good stages man! I guess Shinou Shenanigans will be a total success (but that depends on you); keep at this, WHAT´S NEXT?! Thanks for the comments guys. Here's Chapter 3. A little note, I decided not to give Jack fixed types to train. Chapter 3: Crouching Tiger, Hidden Gible! After eating a quick breakfast Jack decided to try and find the Global Trading Station that Claire had mentioned. “Jeez... Who’d think this place would be so big” Jack groaned as he strolled through the busy crowded streets. Many of the shops in the street sold various pokemon-related products. There were stands selling evolution stones, TMs and pokeballs. There were huge amounts of trainers, some with evolved pokemon. Jack passed one stall and something caught his eye. He walked back to it and looked at the items there, an old woman with a Glameow watched him with enthusiastic eyes. “Seen something you like dear?” The old woman asked. Jack picked up two evolution stones. They both started as a pale purple and turned into an almost black colour closer to the middle of the stone. Jack looked curiously at the stones. He had heard about these, they were very rare and hard to find, they could come in handy later. “3000 Pokecredits for both” The old woman said. Jack took out his wallet and took out six 500 Pokecredit notes. He handed them to the old woman and she took them and took the stones and began to put them into a case. While she did this her Glameow purred and rubbed against him, Jack scratched it behind the ears. “Here you go” The old woman said as she handed Jack a dark green box with the two stones laying on top of red velvet. Jack snapped the lid shut and put the box into his backpack; he paused and turned to the old woman again. “Could you tell me where the Global Trading Station is?” Jack asked. “It’s two blocks away, take your first left and then continue straight on. You can’t miss it” The old woman replied. Jack thanked her and gave Glameow one last scratch behind the ears before walking off down the street. Jack walked into the foyer of the Global Trading Station. The room was large and had a marble floor with a fountain in the middle of the room. It was completely white with several fern plants. A large TV screen suddenly caught his attention. There was a battle between two trainers, one had a Chatot and the other had a Riolu. The Riolu used a Quick Attack and tackled the Chatot out of the air and the Chatot retaliated with a Sing attack. Suddenly his attention was interrupted by a voice calling his name. “Jack, I’m over here!” Claire called. Jack looked across the foyer to see Claire walking out of a corridor with a strange pokemon walking beside her. Jack walked over to her and the pokemon began growling. “Gabe it’s alright, he’s a friend” Claire soothed. The pokemon immediately fell silent and continued to stare at Jack. “Hey Claire” Jack said nervously. “Hi, sorry about that, Gabe doesn’t really like strangers” Claire explained. Jack took his pokedex out of his pocket and pointed it at the pokemon. Fukamaru resembled a stout shark with small limbs, a large mouth and two jet-like projections protruding from its head. “Cool pokemon” Jack said as he stared at the pokemon. “Would you like to have a battle?” Claire asked. Jack was taken aback by the rather sudden question. Claire smiled and walked back off down the corridor, Gabe staying close to her. Jack followed her through several corridors and up several flights of stairs to a large battlefield. Claire took her place at one side of the battlefield and Jack took his place at the other end. “Is a standard one on one battle alright with you?” Claire asked. “Sure” Jack replied as he took Chatot’s pokeball from his belt. “Get in there Gabe!” Claire shouted. Gabe jumped from his mistress’s side and onto the battlefield, growling menacingly. “I choose you Chatot!” Jack shouted as he threw his pokeball onto the field. Chatot burst from the ball and jumped onto the field. He looked warily at Gabe and then at Jack. “Gabe use Dragon Rage!” Claire shouted. Gabe opened his wide jawed mouth and spat a huge fireball at Chatot. The fireball made contact and sent Chatot flying; he landed in a heap at Jack’s feet before getting back up. “Chatot use Mirror Move!” Jack commanded. Chatot briefly shone a white colour before opening his wings and sending a smaller fireball, it made contact with Fukamaru, causing it to cry out in pain. “Now use Peck!” Jack commanded. Chatot flew into the air and soared over and began pecking Gabe with his sharp beak. Gabe collapsed and began to shine and change shape. Claire and Jack stared intently as the shine faded and revealed a brand new pokemon in Gabe’s place. It resembled a hybrid of a velociraptor and a shark and was a dark blue colour. Jack took out his pokedex and pointed it at it. “Wow...” Jack breathed as he stared at the impressive pokemon. Claire was even more amazed than Jack, her mouth was hanging open. “Are you okay?” Jack called. Claire snapped out of her trance and grinned. “You bet I am. Do you wanna continue?” Claire asked. “Alright then, use Dragon Claw Gabe!” Claire shouted. Gabe growled and his claws were engulfed in a spiral of fire, Gabe ran at amazing speed and slashed Chatot, making him faint instantly. “Chatot!” Jack cried out as he ran onto the field. Chatot chirped slightly as Jack picked him up. Jack took out his pokeball and returned him into it. “Great battle” Claire said as she walked across the field. Jack smiled and stood up. “It sure was” Jack replied. They both left the battlefield and walked back to the foyer. “I hope we meet up again one day” Claire said with a smile. “Me too, well I better get going... I need to get to Oreburgh City” Jack said. Jack gave Claire one last handshake and left the Global Trading Station and set off for Oreburgh City. Last edited by 2x4b on Tue May 15, 2007 12:57 pm, edited 5 times in total. Good work as usual. Keep it up. This is turning out to be an interesting story. Best one by far. Can't wait until [omgnameremoved] meets Jack. Okay guys. I've had some spare time so I'm working on this again. I've made a few minor changes, such as Budew being replaced with a baby Chatot. Jack looked at the map on his Poketch and frowned. He was lost and had no idea where he was, his Poketch wasn’t even functioning. All it had was an error screen. “Oh bloody buggering hell” Jack cursed as he tapped the screen. Jack sighed and looked up at the sky, it would be dark soon and he had no idea where he was. It was going to be a long night. Jack took his canteen from out of his backpack and took a drink. >>Looks like I’ll have to camp out here tonight<< Jack thought as he watched the fast setting sun. Jack released Piplup and Chatot from their pokeballs and lit a camp fire. Jack put pokemon food into two bowls and put them down near the fire; Chatot happily hopped over and began eating but Piplup turned her beak up at it. Piplup didn’t answer and turned away from her bowl. Jack frowned slightly and decided to check his pokedex. “Piplup have a large sense of self-pride. Because of this, a Piplup has a hard time accepting food from humans.” The pokedex said in an electronic voice. “So that’s it... Well you’re free to go and find yourself some food” Jack said. Piplup stood up and made her way over to a tree and used her Bubblebeam attack to knock a cluster of Pecha berries out of a tree, she happily sat down by the fire and began eating them. Chatot stopped eating his food and looked at Jack’s pokedex, it slowly looked at it and then to Piplup. “Pi... Pip” Chatot chirped slowly. Jack looked down at the young pokemon and smiled, he had noticed that Chatot had been trying to speak for a couple of days but was struggling. “You’ve almost got it” Jack said. “You’ve got it!” Jack exclaimed happily. Chatot, happy with its new achievement, began to chirp happily. He looked at Jack and stuck a wing out, pointing to Piplup. “That’s right Chatot” Jack said. Chatot smiled as best it could and began to eat its food again. After eating, Jack got into his sleeping bag and went to sleep. Chatot perched himself in a tree and fluffed up his feathers while Piplup lay down next to Jack and fell asleep. Last edited by 2x4b on Tue May 15, 2007 12:59 pm, edited 2 times in total. Come on guys... I was hoping someone would review the last chapter before I had to post the next one. Someone please review. Jack woke up to the sound of Chatot singing in a soft melody, he sat up and saw Chatot perched on a boulder near the now extinguished camp fire. His tail was rocking back and forth in time with the rhythm, like a metronome. Chatot immediately stopped singing and moved to look at Jack; he chirped happily and stuck out his wing, pointing to behind the boulder. Jack frowned slightly and slid out of his sleeping bag. He carefully made his way over to Chatot and peered over the boulder, lying behind it was a pokemon. It was fast asleep. Jack studied it carefully, it resembled a black and blue furred bipedal canine, and it had rounded blades on its wrists. Jack realised that Chatot must have been using its Sing attack. Jack picked his jeans up off the boulder and took his pokedex out of the pocket and pointed it at the pokemon. “Riolu... Cool name” Jack whispered. Suddenly the Riolu’s eyes snapped open and stared at Jack, it leapt into the air before disappearing in the blink of an eye. Jack looked around, surely it couldn’t have moved that fast. Chatot cocked his head to the side and looked at Jack. Jack looked back and shrugged and went to get dressed. Jack put down Chatot’s bowl in front of him and made himself some scrambled eggs. Piplup wandered over to a tree and shot down a cluster of berries. As he ate his thoughts drifted to that Riolu... It was an awesome pokemon, but why would it even come near the camp. Jack put down his plate, walked over to his bag and picked up his pokedex; he brought up information about Riolu. Suddenly he heard a clattering and looked up; Riolu was stood next to Jacks plate and sniffed the eggs. Jack carefully picked a pokeball off his belt and nodded to Chatot. Chatot snuck up behind Riolu and began pecking at it relentlessly. Riolu back flipped over Chatot and run forward with blinding speed, slamming into Chatot’s back. Chatot was catapulted forward and thrown to the ground. “That was a nice Quick Attack” Jack commented. Chatot stood up and shot into the air and awaited Jacks command. “Chatot use Mirror Move!” Jack shouted. Chatot shone a brief white and shot forward with equal speed to Riolu but dodged out of the way and Chatot slammed into the dirt. Riolu then ran forward and smacked Chatot with his palm, Chatot cried out of pain and fainted. Jack was impressed with the Riolu; it was indeed an incredible pokemon. Suddenly a barrage of bubbles hit Riolu in the back. Riolu whirled around to see Piplup stood defiantly a little way away, Riolu shot forward again; Piplup stepped out of the way and used Peck. Riolu fell onto its stomach before getting up seconds later. “Piplup use Bide!” Jack shouted. Piplup closed her eyes and stood completely still. Riolu narrowed his eyes and ran forward, smacking Piplup across the face with his palm. Piplup didn’t react to the brutal assault and continued her pose. Riolu stopped and looked confused. “Do it now Piplup!” Jack shouted. Piplup’s eyes shot open and she began to shine white before releasing a huge blast of white energy from her body. Riolu was thrown into the air with the force of the blast and slammed into the dirt with a sickening thud. Jack enlarged the pokeball in his hand and threw it. The pokeball made contact and opened, converting Riolu into red energy and sucking it inside. It snapped shut, dropped the ground and began shaking while the catch on the front flashed red. After a tense minute the pokeball stopped shaking and the familiar ding sounded, indicating a capture. Jack smiled, ran over and picked up the pokeball. “Gotcha you little bugger” Jack said. Piplup chirped happily at her win and went back to eating her berries. Jack shrunk Riolu’s pokeball and put it on his belt before going to tend to Chatot. Last edited by 2x4b on Tue May 15, 2007 1:00 pm, edited 4 times in total. Anywhen, I hope you come back with more emotion, action, happiness, sadness and anxiety; just like last year. Take your time on writting and go on with the plot . Here comes Chapter Six. I'm updating my first post with a new character so check it out. “I need to get you to a Pokemon Centre and quick, you’re burning up” Jack said urgently. It was pouring with rain and the wind was howling. Jack was running desperately across a muddy field, he was carrying Piplup in his arms. Piplup had been poisoned in a battle with a trainer. The trainers Skorupi had used a particularly powerful Poison Sting attack; Jack’s Antidote potions hadn’t had any effect. “You’re gonna be fine, don’t worry” Jack whispered. Visibility was getting lower. Jack could barely see his feet as he ran, he looked at his Poketch map; it said the nearest Pokemon Centre was in Shoubu Town. Jack stopped and looked around; he couldn’t see anything, just darkness and rain. Jack took Riolu’s pokeball from his belt and tossed it into the air, in a flash of light Riolu was standing in front of him. Jack took a stylus from the back on his Poketch and scribbled a quick note onto the screen using the notepad function. He put the stylus back and attached the Poketch to Riolu’s wrist. Riolu looked up at him, utterly confused. “I need you to take Piplup to the nearest Pokemon Centre; I’m not going to be able to get there in time. I know you will” Jack shouted over the howling wind. Riolu nodded and motioned for Jack to put Piplup on his back. Jack kissed Piplup on the forehead and put Piplup in a piggyback position on Riolu’s back. Riolu closed its eyes and the two growths on the side of his head froze in a horizontal position, allowing Riolu to see the aura of everything around it fairly clearly. Riolu looked up at the shining blue form of Jack before running off at tremendous speed. Jack brushed his soaking hair out of his eyes and sighed. He would never find Shoubu Town before the storm was over. A flash on lightning streaked across the black, cloudy sky and Jack saw the outline of a person running. Everything fell dark once again and Jack ran towards where he last saw them. Lightning once again flashed across the sky and Jack saw the person a little way ahead of him. He ran full pelt forwards and caught up to the person. It was a teenage boy around his age. He had black hair, the same length as his but in a different style. He was wearing a dark blue shirt with a white tie and baggy black cargo pants. Jack ran up along side him. “Hey! Do you know where the nearest Pokemon Centre is? !” Jack shouted over the howling wind. The boy ran in front of Jack while Jack ran full pelt to keep up. Jack followed the boy for nearly an hour before they arrived at the Pokemon Centre that was situated about a quarter of the way to Oreburgh City. Jack ran inside and shook his hair, shaking excess water from his hair. The boy walked in behind him and the automatic doors closed with a monotone hum. “So... You never told me your name” The boy said. “Jack... Jack Williams” Jack said as he brushed his hair out of his eyes. “I’m Theo. Theo Darco.” The boy said. “Look... I’m sorry but I can’t stay and chat. I need to go and find my Piplup” Jack said. Jack immediately left Theo and ran up to the reception desk where Nurse Joy was typing on her computer. “Nurse Joy, have you had a Riolu come in with a Piplup?” Jack asked urgently. “Why yes I have... Are you their trainer?” Nurse Joy asked. “Yes... Jack Williams” Jack said. Nurse Joy suddenly put on a stern voice and glared at him. “Look... With the storm there was no way I was going to get here in time. I didn’t want Piplup to die.” Jack said. Nurse Joy stared at him for a second. “At least you have a decent reason. I thought you had abandoned them” Nurse Joy said. “So is Piplup okay?” Jack asked. Jack sighed in relief and nodded. Nurse Joy stood up and led him down a few corridors and to a treatment room. Piplup was laid on an examination bed and was fast asleep while Riolu was sat on a chair at the side, still wearing Jacks Poketch. Jack entered the room and Riolu immediately jumped down from the chair and ran over to greet Jack. Jack knelt down and hugged Riolu. “Thank you Riolu” Jack whispered. Riolu blushed as Jack let go of it and took Jacks Poketch off, before pressing the catch on its pokeball and going inside. Jack pulled the chair closer the Piplup’s bed and sat down. Piplup looked slightly better, but not much. Jack spent nearly 20 minutes just watching her sleep before he heard a slight knock at the door. He got up and opened it, stood in the doorway was Theo. He was holding two cups of coffee and had a Murkrow perched on his shoulder. “Hey Jack. Nurse Joy told me you were here so I thought I’d drop by” Theo said. Theo looked at Piplup and smiled slightly. “How’s Piplup?” Theo asked as he handed Jack a cup of coffee. “She’s better but Nurse Joy said that she’ll have to stay for a couple of days” Jack said. “That’s too bad” Theo said. Jack took a sip of the coffee and stared at Piplup. He looked at Theo and then at his Murkrow. “Look... I never thanked you for helping me back there” Jack said. Jack put down the cup of coffee and reached into his backpack. 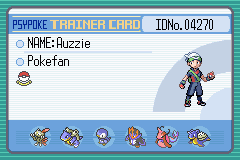 He pulled out the dark green box containing the evolution stones he’d bought in Jubilife City. He opened it and took out one of the Dark Stones, he held it out and Theo stared at it. “Jack... I can’t accept this. These cost a fortune” Theo said. “Take it. I would never find any use for it” Jack smiled. Theo hesitantly reached out and picked up the stone. He looked at it for a minute before putting it into his bag. “So... You’re not from around here are you?” Jack asked as he picked up his cup of coffee and took another sip. “Is it that obvious?” Theo grinned. “Your accent gives it away” Jack smiled. “To answer your question, I’m not from Sinnoh... I’m from Ecruteak City in the Johto Region” Theo said. “I’ve always wanted to go there... I’ve only ever been out of Sinnoh once. And that was for a holiday to the Seafoam Islands in Kanto” Jack said. “Look at us... We’ve barely known each other two hours and we’re already talking like old friends” Theo grinned. “Who says we can’t be friends?” Jack smiled. Theo smiled and took another sip of his coffee. He held out his arm and Murkrow hopped down onto it. Theo took a berry out of his pocket and gave it to Murkrow. Murkrow took it in his beak and swallowed it. “That’s a really cool Murkrow” Jack said. Theo paused for a second and looked at Jack. “Do you want to have a battle?”	Theo asked. Jack hesitated and looked at Piplup. He didn’t want her to wake up and feel all alone, but he couldn’t turn down a battle. He looked at her and then at Theo. “Look… I need to talk to Nurse Joy. I’ll meet you at the training field” Jack said. Last edited by 2x4b on Tue May 15, 2007 1:02 pm, edited 2 times in total. Yo boy, that was a nice one, I loved the stress, the anxiety, the casuality, wow. Good job. Although I saw that Riolu used "Aura", look, the Lucario from the movie knew how to use Aura because he was taught by Sir Aaron, that Pokémon doesn´t really start up knowing Aura (I think)... unless u have though of it prevously and will add that Riolu´s past, or something. Anywhen, I´ll be looking forward to see updates in this thread, again, keep the Good Job. Edit: YOMG! Wikipedia is right again! (what a surprise...) well, I guess it is okay then. Last edited by AABM on Wed Jan 31, 2007 9:27 am, edited 1 time in total. Thanks. I thought I kinda phoned it in on the ending. Anyway, when I write each chapter I have Bulbapedia and Wikipedia loaded in my browser in case I need them. I found an interesting fact about Riolu on Wikipedia. Much like it's evolved form, Riolu is able to manipulate aura fields. However, it isn't as adept at using them as Lucario. So that's where I got it. I thought it was rather fitting for Riolu's personality. Great story! I'll keep coming back to check for a new chapter! Here's Chapter Seven guys. Enjoy. Jack walked through the corridors of the Pokemon Centre, looking for Nurse Joy. He really didn’t want to leave Piplup but he couldn’t resist a battle, especially one from an experienced trainer like Theo. He passed several rooms with trainers and injured pokemon before finding Nurse Joy checking up on a Wurmple. “Nurse Joy, can I talk to you for a minute?” Jack asked hesitantly. “Of course Jack. Let me just finish up here” Nurse Joy said as she finished writing some notes on her clipboard. She put the clipboard down on a nearby table and walked over to the doorway. “I was just wondering if you could check on Piplup while I have a quick battle” Jack said. Nurse Joy paused for a moment and pondered it, frowning slightly. “I guess so. But you need to be quick” Nurse Joy said reluctantly. “Thank you Nurse Joy” Jack said. Jack grabbed Riolu’s pokeball off his belt before running off full pelt down the hallway, towards the training field. As Jack arrived at the training field he spotted Theo waiting at the third of the four training fields, the one nearest the right. He made his way over, glancing at two other battles that were going on. One was between a Starly and a Shinx and the other was between a Duskull and a Spinarak. “You took your time” Theo grinned. “You’d think a nurse would be easier to find” Jack replied. “Whatever, now let’s battle” Theo said as he threw an Ultra Ball onto the field. The Ultra Ball burst open and ejected a mass of white light onto the field, the light slowly formed into the shape of a pokemon and faded, revealing a Sneasel. Jack took his Pokedex from its slot on his belt and pointed it towards Sneasel. “Sneasel, the Sharp Claw pokemon. Sneasel scales trees by punching its hooked claws into bark. It seeks out unguarded nests and steals eggs for food while its parents are away” the Pokedex said in a calm voice. “Sneasel huh... Try this on for size. Go Riolu!” Jack shouted as he threw Riolu’s pokeball onto the field. The pokeball burst open and ejected Riolu onto the field in a flash of white light. “Riolu use Quick Attack” Jack commanded. Riolu nodded and shot forward with amazing speed, knocking Sneasel off its feet and sending it slamming into the dirt. Riolu back flipped back over Sneasel and returned to its position in front of Jack. “Sneasel use Icy Wind” Theo said calmly. Sneasel took a deep breath and then exhaled a mixture of snow and freezing wind, Riolu flinched and slid back as the force of the attack hit him. Riolu closed his eyes and the growths on the side of his head froze in a horizontal position. The aura of Sneasel shined through the blinding wind and Riolu jumped up into the air and began to glow red, he dropped down in front of Sneasel and began pummelling him with a series of blinding fast punches and kicks. Sneasel screeched in pain as Riolu stopped its attack and kicked Sneasel across the field. Sneasel slowly began to get up, wincing with pain as he did. >>I didn’t tell Riolu to use Force Exert...<< Jack thought as he stared at Riolu. Sneasel stood up and glared at Riolu. “Finish it Sneasel, use Beat Up” Theo commanded. Sneasel grinned and began to shine a deep black colour. The transparent forms of a Murkrow and a Poochyena appeared at its sides and they all charged forward. Riolu barely had a chance to move before he was struck with attacks from all three pokemon. The force of the blows sent him soaring through the air and slamming into the ground. Sneasel ended its assault and the transparent forms of Theo’s pokemon faded from view. Jack returned Riolu to his pokeball and put it back on his belt. He walked across the field towards Theo as he returned Sneasel to his Ultra Ball. “Sorry about Riolu. He gets carried away sometimes” Jack said sheepishly. “It’s alright. Anyway I think you better get back to Piplup” Theo smiled. And with that, Jack ran full pelt from the arena. Last edited by 2x4b on Mon Mar 12, 2007 9:33 am, edited 1 time in total. Do you know how good this is getting? It's in my bookmarks. In fact, the quick links. I had better keep reading, because this is your best story yet. 10/10 for the last chapters. Exploding with emotion and interest. Sorry it has taken me so long to write this chapter guys. I've been a bit busy with schoolwork. Anyway. Here's Chapter 8! Jack and Theo spent the next two days in the Pokemon Centre and within that time they had grown closer as friends. “You’re looking a lot better this morning Piplup” Theo said. “Isn’t she just” Jack smiled as he watched the young pokemon eat a bowl of Pokechow. Theo smiled and looked at his black Poketch. It had to be now or never. “I was kinda wondering if you’d like to travel with me.” Theo said. “Of course that’d be great!” Jack exclaimed. “Thanks. I never really had many friends when I was growing up” Theo said. Jack smiled weakly. Theo was a well experienced trainer but Jack couldn’t help feel sorry for the guy. “Well you’ve got me now” Jack said. As he finished that sentence Nurse Joy approached them. She wrote something down on her clipboard and glanced at Piplup. “It’s nice to see Piplup is better. She can leave today” Nurse Joy said. “You’ll just have to lay off the battles for a couple of days” Nurse Joy said. Jack and Theo picked up their bags and Jack picked up Piplup from her bed. “How much farther to Oreburgh?” Jack asked. “About three days” Theo said. Jack returned Piplup to her Pokeball and put it on his belt. “Then we’d better get going then” Jack said. They both left Piplup’s room and walked down the corridor. Jack watched Theo as he fiddled with his Poketch. He finally had a friend that wasn’t a Pokemon. Jack thanked Nurse Joy as they left the Pokemon Centre. As did Theo for looking after his Pokemon. “I agree” Jack said as he took a drink of water from his canteen. “Let’s rest here for a while. Let the Pokemon get a bit of exercise” Theo said as he released Murkrow, Sneasel and Poochyena. Jack nodded and released Piplup, Chatot and Riolu. Chatot and Murkrow immediately took flight and began to play. Riolu and Sneasel decided to have a running contest and immediately took off across the field. Piplup and Poochyena on the other hand decided to explore some nearby bushes. “Nice to see they’re all getting on” Jack said. “Well... Except for Riolu and Sneasel” Theo said, pointing to the pair. Jack looked in the direction that Theo was pointing in and saw the two Pokemon wrestling on the ground. They were rolling around in the dirt. “Should we go and intervene?” Jack asked. “Nah. They’ll get tired soon enough” Theo said. Suddenly Piplup came charging out of the bushes and clutched onto Jack’s leg. “What is it Piplup?” Jack asked. Piplup pointed one of her flippers in the direction of the bushes. Jack and Theo stood up and walked over, they parted the bushes and saw Poochyena lying on the floor. He was sparking. “Looks like he was hit by a Thunder Wave” Theo said. Theo walked over to Poochyena and took a Paralysis Heal out of his bag and sprayed Poochyena with it. Poochyena slowly got up and jumped into Theo’s arms. Jack picked up Piplup and looked around. It must have been an electric Pokemon. But he didn’t see anything. Not even a Pachrisu. Piplup suddenly jumped down from his arms and ran behind a tree. Jack followed her cautiously and peered around the side of the tree. Piplup was stood next to a black stalk with a four pointed star on the end. Piplup prodded it but it didn’t move. Jack frowned. Surely that couldn’t be a Pokemon. >>That doesn’t look like any Pokemon I’ve ever seen. I better check my Pokedex<< Jack thought. He took his Pokedex off his belt and pointed it at the egg. Suddenly the stalk quivered and it disappeared into the bush before a Pokemon leapt out. It looked like a lion cub. It has large oval ears that stuck out from the side of its head. It had large yellow eyes with yellow pupils. Its nose was red and yellow bands of fur around its forelegs. The front half of its body was covered with blue fur while the back half was black. Its mane was rather long, which indicated it was male. Shinx growled and its body flashed. Jack covered his eyes and Piplup quickly fired a Bubblebeam at the Shinx. Shinx cowered back in fear. “It’s alright Shinx. I’m not going to hurt you” Jack said. Jack bent down and stuck out a hand as he approached it slowly. Shinx watched him cautiously and hesitantly took a step forward. “There we go. I’m not gonna hurt you” Jack said gently. Shinx looked up at Jack and smiled before jumping into his arms. It yapped and snuggled against his shirt. “So I guess you want to come with me?” Jack asked. Shinx yapped and nodded. Jack smiled and wrapped his arms around the baby Pokemon. He stood up and walked back to Theo, who was tending to Poochyena. Theo looked up as Jack approached and a look of confusion crossed his face. “Where did you find that Shinx?” Theo asked. “It was behind the tree. It looked terrified.” Jack said. Shinx suddenly began to squeak and wriggle in Jacks arms. Jack frowned and saw that the baby Pokemon was staring at Poochyena. Theo noticed this too and looked at Poochyena. “You don’t suppose that Poochyena and Piplup scared Shinx do you?” Jack asked. “It seems very likely. After all that Shinx is really young. It probably knows Thunder Wave” Theo said. Poochyena suddenly stood up and stared at Shinx. He began growling fiercely and baring his teeth. Shinx squeaked and clutched tighter onto Jacks shirt. “Poochyena stop it! Shinx is only a baby!” Theo scolded. Poochyena immediately quietened down and hung his head, his tail and ears drooping. Jack looked down at Shinx and saw that it had fallen asleep. “What do you say we stay here for the night” Theo said. “Are you sure?” Jack asked. “Sure. We’re all tired and we aren’t in that big of a rush to get to Oreburgh City” Theo said. Jack smiled and looked down at Shinx. It was really cute but it would soon become powerful. Last edited by 2x4b on Tue May 15, 2007 1:04 pm, edited 1 time in total. 1 word 2x4b...AWESOME!!! !I like how you have your typing spread out it makes it look neat and its just totally one of the best I have seen so far. If you quit this, I would cry...OK well maybe I wouldn't cry but still its great, especially I like the wideness of the collection Jack has. 2x4b please update this i love this fanfic and I wanna read more!! !PLEASE!